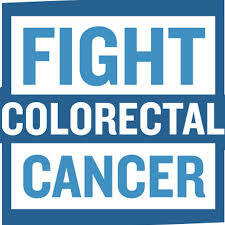 1 in 20 Americans will hear the words “you have colorectal cancer (CRC)” this year. In America alone, it will cause 50,000 deaths in 2015. Currently there is no cure for inoperable Stage IV CRC although CRC is preventable/highly curable with proper medical surveillance (early colonoscopies if you have a Family History of CRC or if you are in an age based risk group). CRC can also at times be highly curable when caught early enough (e.g. via ASAP colonoscopies due to appearance of symptoms NO MATTER YOUR AGE once simpler symptom causes are ruled out). Today’s organized day of giving for many charities called “#GivingTuesday”, reminds us that the Holiday Season is about giving to others, not receiving, I wanted to respectfully mention three CRC organizations that I am directly involved with for your giving consideration. No amount is too small. Just as there are multiple facets to how I personally approach my own colon cancer (as Patient-Scientist-Advocate) – the various facets of these organizations, although different from one another, compliment each other in the big picture. Each is important in its own way, to achieve the overall goal of helping fellow CRC patients, their family/caregivers and even the general public avoid/CURE a CRC diagnosis. They also directly help me since I am a part of the CRC Family now – and all three organizations from top leadership downward do feel like family now! I very actively support all three organizations but perhaps one or another will speak to you more… – or perhaps all three will speak to you as well! Thank you for your consideration & support of CRC on this #GivingTuesday. To Life! My husband did not have a family history of colon cancer. So….. watch out anyway! Indeed true T! I reworded the beginning to try to make it more clear. Even if you are young AND/OR even if you have no family history of CRC – IF you have GI-symptoms that are not explained by easier to make diagnoses, then push hard to get a colonoscopy as soon as possible. IF you have cancer, the early it is diagnosed, the better off you will be!